Welcome to the final episode (for now) of the Holistic Spaces podcast. I am sad to put the podcast on hold, but hopefully we'll be back soon with new episodes. Please let us know if you'd like to hear more! For our last session, we're chatting with Julius Betila, a sound healing artist I met at a Kundalini yoga event. Julius graciously joins us and opens up around his sound healing journey, how sound relates to feng shui and science and how we can begin our own sound journeys. I'm very excited to chat with him about all his wonderful instruments! I'm so grateful to Julius Betila for sharing his sound journey and insights with us. I loved the experience of his music and sounds, and I highly recommend attending a sound healing workshop or meditation near you if you're interested! I also want to thank each and every one of you for listening to the podcast for these last 55 episodes. Please do let us know if you miss the episodes, and we'll hopefully be back! Don't forget to sign up for our Holistic Spaces newsletter, which we send once-a-month with tips on feng shui, green design and holistic living. Since it's holiday shopping season, be sure to check out our Holistic Spaces 2017 Holiday Gift Guide as well! If you have feng shui questions, please send them my way at info@holisticspaces.com, and we'll do our best to answer them all in our Q&A Sunday series. If you're looking for more in-depth or urgent answers, schedule a 15-minute consultation call! A student of life, Julius Betila’s natural curiosity in science and technology led to spirituality and a deeper connection to the universe. He believes that Quantum Physics is the modern language of the mystics that we can use to bridge our inner and outer worlds. With a loving intention and sacred instruments like a gong, Himalayan bowls, drums, flutes, and chimes, Julius creates a meditative soundscape to promote a sense of well being by synchronizing the heart and brain. You can find more information at Www.soundhealingvibrations.com. Mavis Gewant has been my sacred art teacher for eight years, and I'm happy to finally have her on the podcast talk yantras and sacred art! Mavis shares her vedic knowledge and how sacred art is like meditation. If'd you like, check out the Holistic Spaces yantra mandalas while listening and see if you can match up numbers and designs! Once again, thanks to my incredible teacher, Mavis, for sharing her insight on the interesting practice of sacred art and psychic vedic numbers. Mavis's art, classes and more are available on her website at sacredmotherarts.com. I encourage you to check out her work and see if she is offering workshops near you! 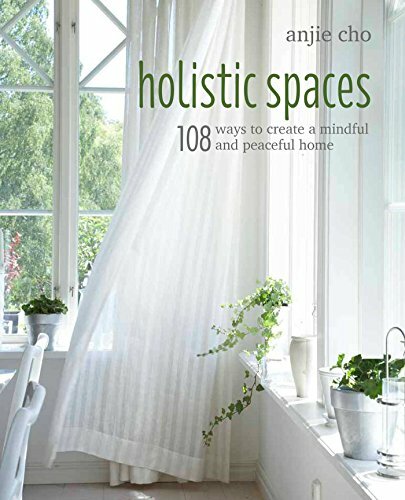 Check out the Holistic Spaces newsletter and sign up to receive our once-a-month collection of tips on feng shui, green design and holistic living. Our 2017 Holiday Gift guide is also in the works! Have feng shui questions? Send them to info@holisticspaces.com, and we'll do our best to answer them all in our Q&A Sunday series. If you're looking for more in-depth or urgent answers, schedule a 15-minute consultation call! Don't forget to also visit the Holistic Spaces Patreon page and join our patrons in supporting the podcast! DON'T FORGET TO ALSO TUNE IN DECEMBER 1 FOR OUR NEXT EPISODE OF THE ASTROLOGY & FENG SHUI MINI-SERIES! This week, I'm very excited to welcome my friend, Ash Riley, an intuitive personal development mentor who works with many spiritual topics, including dreams. This time around, we'll chat with Ash about dreams and sacred spaces, but hopefully she'll be back soon with more insight on all the spiritual aspects of her work. Thanks so much to Ash for stopping in to share her knowledge and advice around dream interpretation! It would be interesting to know how many Holistic Spaces fans keep dream journals or intention altars, as Ash recommended. Share with us if you do, or even if you're planning to start one now! Don't forget to sign up for the Holistic Spaces newsletter! We send out great tips on feng shui, green design and holistic living once a month, plus we have a gift guide for the upcoming holiday season! Please let us know if you have questions, and we will aim to answer them all in our Q&A Sunday series. You can also schedule a 15-minute consultation call for a more personal, in-depth answer! Finally, I encourage you to stop by our Patreon page and support the Holistic Spaces podcast. P.S. We'd love to hear your suggestions for our upcoming episodes. We want to discuss what YOU, our listeners, want to hear! 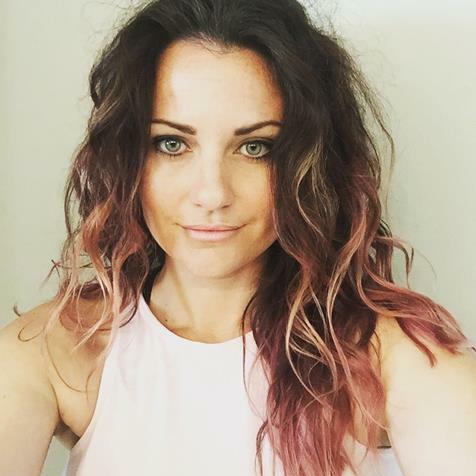 Ash Riley is a spiritual entrepreneur, intuitive lifestyle blogger, and personal development mentor who enjoys empowering others to tap into their own inner-strength. She is the voice behind In My Sacred Space, an intuitive lifestyle blog which explores personal, spiritual, and intuitive development, and incorporating spirituality into daily life in the mind, body, spirit and space. Visit her website, www.inmysacredspace.com for more info! DON'T FORGET TO ALSO TUNE IN NOVEMBER 1 FOR OUR NEXT EPISODE OF THE ASTROLOGY & FENG SHUI MINI-SERIES! Happy October! In honor of this month's spooky theme, one of my instructors and mentors, Barry Gordon, returns to share his expertise on ghosts, entities and feng shui! In addition to being a wonderful feng shui practitioner and educator, Barry is also a trained physicist, and he offers great insight to the "other side" from a fresh perspective! What are ghosts and entities? Do you have your own stories of interaction with ghosts or entities? Share them in the spirit of the season! Sign up for the Holistic Spaces newsletter for great tips on feng shui, green design and holistic living heading into the busy holiday season, as well as our very own gift guide! As always, reach out with questions, and we'll do our best to get you an answer in our Q&A Sunday series. You can also schedule a 15-minute consultation call for a more personal, in-depth answer! Don't forget to stop by our Patreon page and support the Holistic Spaces podcast. See you in a few weeks for a surprise episode! Tune in October 23 for the next Holistic Spaces Podcast! It's finally September! To kick off this month on the podcast, I've asked my good friend, Magalie René-Hayes to share some tips with us for creating study spaces and kid-friendly spaces as well as using mindfulness to keep clutter at bay. Magalie has also just released her first book, Kid-Smart Spaces: Decorating a Classroom that Changes Lives and I'm excited to chat with her about the launch! Please remember to check out Magalie's new book and apply some of her wonderful tips to the spaces you share with kids! And as always, if you do use her advice, share photos with us! We want to see your holistic spaces! If you're interested in more tips for creating holistic spaces, sign up for our Holistic Spaces newsletter. For specific questions, send us an email, and we'll do our best to answer as part of our Q&A Sunday series on the blog. If you'd prefer a more private or immediate answer, you can also schedule a 15-minute consultation call. Also, please show our Patreon page some love! We appreciate even $1 a month to keep the Holistic Spaces podcast alive and ad-free! Check back in a few weeks for Creativity and Feng Shui with Laura Morris, as well as the announcement of our giveaway winner! Magalie creates beautiful spaces for a better world through Consciously Design. She takes a unique approach that combines holism, science, and design principles to create spaces that improve lives. She is also the founder of Kid-Smart Spaces™, working with schools, educators, and parents to design inspired learning spaces for smarter, happier, healthier children. Magalie launched Consciously Design and Kid-Smart Spaces in 2012 and has been transforming spaces ever since. She works on a variety of residential, commercial, and institutional projects in the New York Tri-State area, Los Angeles, and across the US, including several elementary and middle schools. Tune in September 25 for the next Holistic Spaces Podcast, Creativity and Feng Shui with Laura Morris. To enter, you must leave a review on iTunes, then follow up with your email to info@holisticspaces.com. Between now and August 31st, everyone who enters will be entered into a raffle for the free podcast consultation! This month on the podcast, I'm excited to sit down with organizer and creator of "apartment solutions," Diane Lowy. Diane works at New York at Home to help New Yorkers create functional, organized spaces that help their lives to flow more easily, kind of like we do with qi! Also, check out this month's My Favorite Things, where Diane suggests some great options for getting organized for the school year and / or busy season! Thanks so much to Diane for sharing these wonderful tips on organizing your space! A holistic space is almost always an organized one. :) Did you learn any new tips on how to manage your space? If so, let us know in the comments! Sign up for our Holistic Spaces newsletter for monthly tips on feng shui and holistic living that we don't share on the blog! If you have specific questions, let us know, and we'll do our best to answer them on the blog as part of our Q&A Sunday series. Or, if you'd prefer a private or immediate answer, schedule a 15-minute consultation call! This is the last month for our giveaway, so please be sure to review the podcast on iTunes if you're interested, and let us know! We'll add you to our list of potential winners, and you could be our next mini-consultation feature! Finally, if you haven't been to our Patreon page, check it out! We appreciate any help you can give to keep the Holistic Spaces podcast alive and ad-free! Don't forget to tune in next month when we chat Kid-Smart Spaces with my friend, Magalie Rene-Hayes! 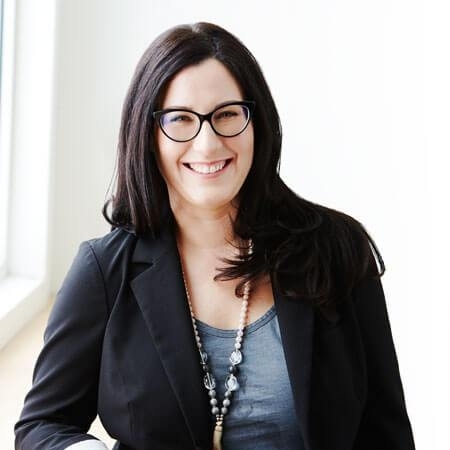 Diane Lowy has managed the New York spaces for diverse brands such as Google and Chanel. She also has a technical background from her years working on historic restoration projects in Central Park and at Columbia University. She studied installation art (a combination of sculpture and architecture) at Bard College with a focus on the way spaces can evoke emotions. She also studied construction project management at New York University. Helping groups of professionals use the same space in many different ways inspired her to apply this strategy to homes in order to identify small adjustments that can have a big impact. Read more about her at newyorkathome.com. DON'T FORGET TO ALSO TUNE IN SEPTEMBER 1 FOR OUR NEXT EPISODE OF THE ASTROLOGY & FENG SHUI MINI-SERIES! On this episode, I'm happy to welcome my friend and fellow BTB Masters graduate, Andrea Giordano, to discuss essential oils and how we can use them to create the feelings we want in our holistic spaces. Andrea is an expert in both feng shui and essential oils, and she uses the two together to create incredible healing spaces and balanced lifestyles. I'm so grateful to Andrea for agreeing to spend time with us chatting about essential oils and how to use them. Hopefully each of you picked up some great advice about which oils to apply to your current situations! If you're looking for more tips on feng shui, holistic living and green design, be sure to sign up for our Holistic Spaces newsletter. We'll only send it once a month, and you'll get tips and insight we don't share just anywhere! Questions about feng shui or holistic living? Send them our way, and they may be answered on the Q&A Sunday series on our blog! You can also choose a more private, immediate option by scheduling a 15-minute consultation call! One last thing, if you haven't already, visit our Patreon! We love bringing the Holistic Spaces podcast to you each month, but we could use your help to keep it going without ads! See you in a couple weeks for tips on getting organized, just in time for fall! AromatheraChi was created from a lifetime interest in plants combined with a devotion to natural and organic products. These interests led AromatheraChi owner, Andrea Giordano, to pursue a degree in Ornamental Horticulture and begin exploring natural applications like Herbalism, Distilling (essential oils and Hydrosols), then even furthering her studies to include a degree in Feng Shui for the soul. All of these techniques are brought to you at AromatheraChi. Please know that we are caregivers; we Empower you to create a stronger You through our fun-filled, intimate DIY classes. They provide a deeper meaning to an individual’s life through the power of Aroma, Thera(py) and Chi." My friend Katie Dalebout, author of Let It Out, has just relocated to New York City from the midwest, and I'm very excited to have her on the Holistic Spaces podcast to address the feng shui in her new space! Katie has her own podcast as well, Let It Out, so for this episode, we'll be doing a collaboration with her! Listen here for the consultation with her, and be sure to check it out here as well! I'm so excited to finally have Katie here in New York! Hopefully she's able to implement all these feng shui cures and create a wonderful, nourishing holistic space in the city. We may even do a follow-up with her later to see how it goes! For more insight on feng shui, green design and more, be sure to sign up for our Holistic Spaces newsletter! You can also send in specific questions or schedule a 15-minute consultation call. You may even make our Q&A Sunday series! Our podcast giveaway ends next month, so be sure to review on iTunes for your chance to win a free mini-consultation! Don't forget to also visit Holistic Spaces on Patreon and support the podcast so we can keep bringing you new episodes! Tune in August 1 for the next Astrology & Feng Shui! DON'T FORGET TO ALSO TUNE IN AUGUST 1 FOR OUR NEXT EPISODE OF THE ASTROLOGY & FENG SHUI MINI-SERIES!